Special preview screening of Dragon Pilot (Hisone to Masotan) at ACen 2018! HomeSpecial preview screening of Dragon Pilot (Hisone to Masotan) at ACen 2018! 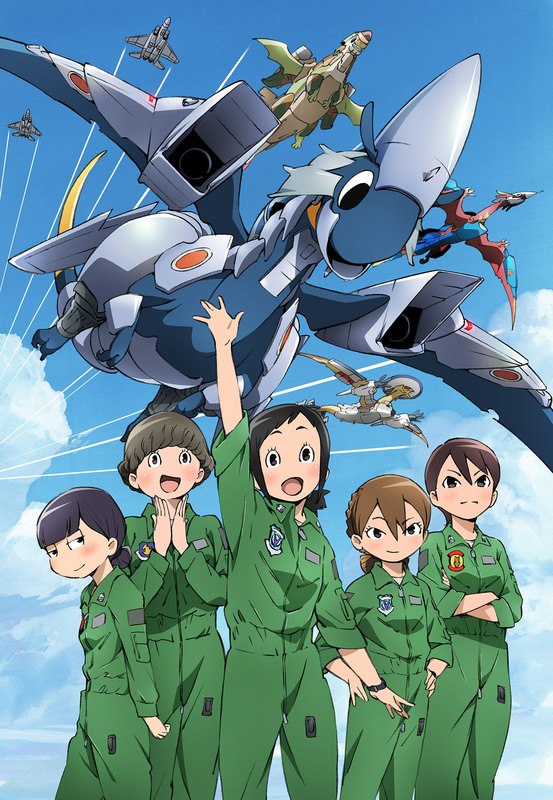 Anime Central is happy to be hosting a special preview screening of Dragon Pilot (Hisone to Masotan) at the Warner Bros. Japan Industry Panel on Sunday, May 20th at 10:30am. A special gift will also be provided for the first 200 attendees! Japan’s top creators have assembled for the dream produced by studio BONES! Shinji Higuchi, who achieved a great success for “Shin Godzilla” teams up with Mari Okada, a very well-known script writer for “Anohana: The Flower We Saw That Day”! Director Hiroshi Kobayashi of “Kizaniver” gives life to the heartwarming story of dragons tamed by the rookie pilots of Air Self-Defence Force. On top of it, the character designer Toshinao Aoki and the composer Taisei Iwasaki of “Blood Blockade Battlefront” boost the project! This tale of love, laughter and tears is a must watch! Straightforward and innocent Hisone Amakasu is a Self-Defense Force rookie stationed at the Air Self-Defense Force’s Gifu Base. She struggles with the fact that she sometimes hurts people unintentionally by her innocent words and decides to join the Air Self-Defence Force, hoping to keep a certain distance from people. This decision leads her to a fateful encounter that profoundly changes her life. Hisone meets the “OTF” dragon hidden in the base, and it chooses Hisone as its pilot.